Miapolis has a catchy name and a flashy new website, but there are more questions than answers about a developer’s dream of building the world’s tallest building — a complex that would soar 160 stories on Miami’s Watson Island. 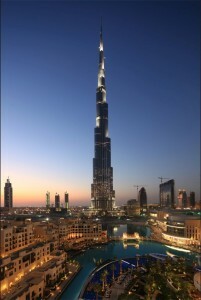 Plans call for a 3,200-foot-tall building that would eclipse the Burj Khalifa in Dubai as the world’s tallest. Miapolis would include an amusement park, a trade center, an observatory, a shopping mall, restaurants, condominiums, office space, a hotel and a marina. While the name of the project and the location are new, the concept is one that Guillermo Socarras has been working on for nearly a decade. The last time Socarras floated this idea just after Sept. 11, 2001, he claimed to control a potential site on Miami’s Biscayne Boulevard and have Tyco International as a key supporter. But those plans never materialized. Whether the newest Miapolis plan is any closer to reality is hard to tell. Socarras declined to discuss the project this week. He said he wants to complete discussions with the Federal Aviation Administration first. Concerns over the proposed building height is just one of many obstacles that stand in the way for Socarras, whose previous developments have been mid-size condos and office buildings. Socarras needs the FAA to approve the project’s height and hopefully create a no-fly zone over South Beach and the Port of Miami. Next, he has to actually secure the land for Miapolis. He wants to build the iconic tower on the site of what is now Jungle Island, a tourist attraction featuring birds and other animals. According to the Miapolis website, Socarras is proposing to pay off Jungle Island’s $39 million loan and debts. Then he would hope to negotiate a new 99-year master land lease on the 28-acre parcel with the city at a rate of $4 million a year. City officials also say there’s nothing in the works. “As far as I know, it’s ridiculous,” said Miami Commissioner Marc Sarnoff, who represents the district that includes Watson Island. HIGH COST Then there’s the question of financing to build Miapolis, an ambitious project that would cost billions. At a time when banks are reticent to lend money on any type of new development, industry experts agree it would be a tough sell. The website lists a number of major companies that appear to be affiliated with the venture, but some of those listed say they haven’t done any work for Socarras recently. Others like Thornton Tomasetti, a structural engineering firm that has worked on the project for years, remain actively involved. Socarras is trying to attract investors with a new set of detailed conceptual drawings for Miapolis, created by architecture firm Kobi Karp. Director Christian Berthin said the Miami firm was engaged in early 2009 and completed the concept package late last summer.